You did it. You finally worked up the courage to visit your local gym. The person who showed you around seemed nice enough and you agreed upon a plan that will really help you to make some changes this time and be successful. You signed on the dotted line. Then you went shopping for new sneakers and some workout clothes, uploaded a motivating playlist and then comes the dreaded moment: your first visit to the gym as a member. Expectation: Everyone at the gym is going to be in really great shape and they’re going to judge me. Reality: There will be a couple of really buff and really in-shape folks in the gym, but the majority of members will be like you – average people exercising because they want to experience the benefits of exercise and weight loss. And as for the idea that people are busy judging you? Everyone is having the exact same thought! Everyone is so worried about themselves, that they rarely notice how much weight you’re lifting or whether you’re doing the same exercises you did yesterday or if your sneakers are this season or last. You’re more likely to find someone paying attention because they admire your dedication, or like your top or envy your smile. The gym is an environment where everyone is working to be a better version of themselves. 99% of the people you’ll find in a gym are more likely to be your cheerleader than the proverbial fitness bully. Expectation: If I need help, I’ll have to pay extra for that. Reality: Now this one’s a little trickier, because the reality may vary a bit from gym to gym. But if you’ve joined a GOOD GYM (and of course, I recommend Elevate Fitness) then you’ll find that you’re surrounded by people who work in an industry they love because they enjoy helping people reach their goals (face it, nobody is working in your local fitness center to get rich). Now, don’t get me wrong, you probably won’t find someone willing to train you for free, but you’ll always find someone willing to help you learn how to use that new piece of equipment or explain what goes on in that fitness class. Most good gyms will even give you a complimentary session with a trainer to get you started so you’ll have a specific person you go to with your questions and concerns! Expectation: You have to train for hours and hours to see any real results. Reality: Unless you’re training for the Olympics, chances are you can spend less than an hour just a few times a week in the gym and see real results. Not only do you NOT really have to “go hard or go home” but you can actually undo your best efforts by overtraining. The best way to make sure you’re not falling into this trap is to think of exercise as something you can ease into. If you’re starting out as a non-exerciser, anything you do is better than where you started! As you and your body acclimate to exercise, you’ll find your sweet spot, but definitely avoid the too-much, too-soon syndrome that has derailed many a beginner. Aim to spend an hour or less in the gym at least three days a week to start seeing the benefits. Expectation: I’ll start seeing a difference on the scale. Reality: Exercisers, especially beginners, are often surprised to find that the scale changes less than they’d expect. There are a number of reasons for this. One of those is that muscle weighs more than fat. So the same space that used to be occupied by body fat, replaced by muscle, will weigh more. Another reason is that your body doesn’t just decrease it’s size when you start losing weight, it starts to reshape, and sometimes that delays the numbers on the scale. It’s best to take before photos so that you can SEE your progress on your BODY instead of on the scale. Even better? Try a 3D scan that will not only give you a “before” or in-progress image but will give you hundreds of different measurements that you see changing instead of just the number on the scale. Whatever your expectations, remember – the reality can often be quite different. 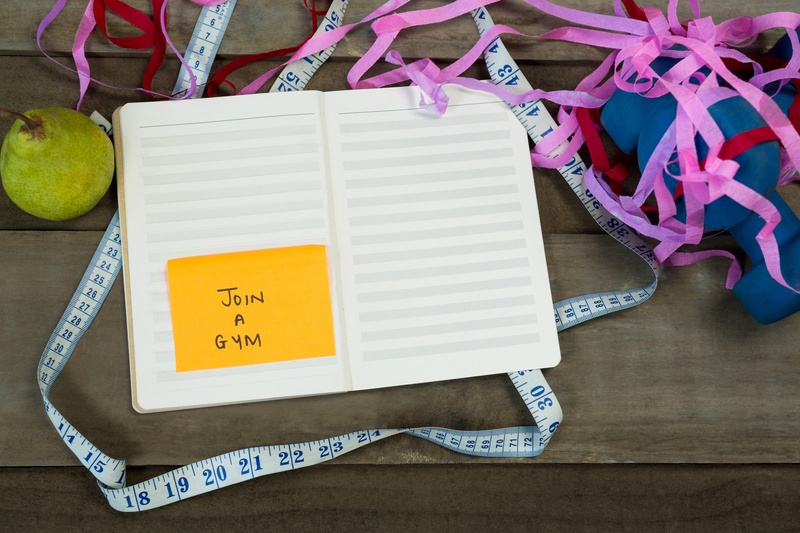 Find a gym or fitness center that believes that fitness if for EVERY BODY and you’re likely to find that the reality of being a gym member is quite wonderful! Need a place that fits that bill? Try Elevate Fitness for FREE by filling out the short form below!